The purpose of this thesis project was to utilize the Nitobe Memorial Hall project as a template for a comprehensive design of the building assembly. 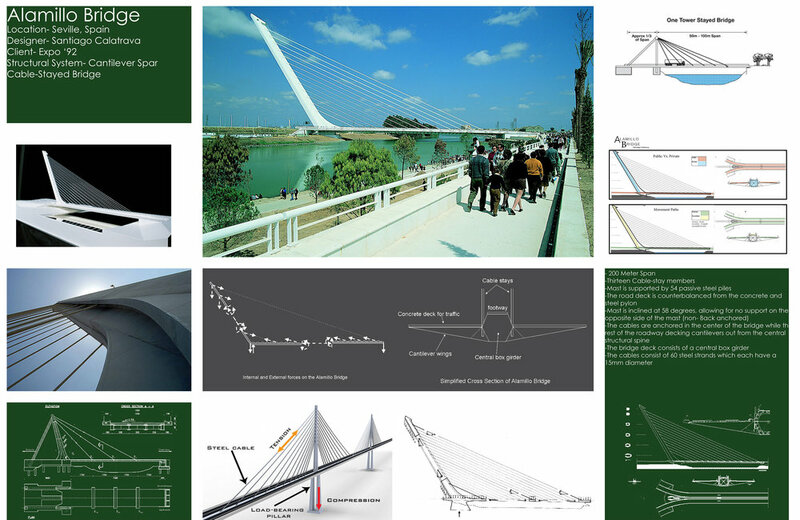 The comprehensive design was implemented utilizing athree-dimensional sectional model created in Rhinoceros 5, which served as the diagrammatic tool for this thesis. By researching these main systems utilizing case studies and a high degree of customization, the design was further enhanced to become a highly innovative yet constructible assembly. Due to this thesis, many elements of the design have changed considerably due to the implementation of the assembly brackets and the addition of a lightweight green roof to the project. The Heavy Timber Structure was utilized for both its aesthetic and environmental attributes. A detailed exploration of all components involved with this material was undertaken to understand its design and structural implications. 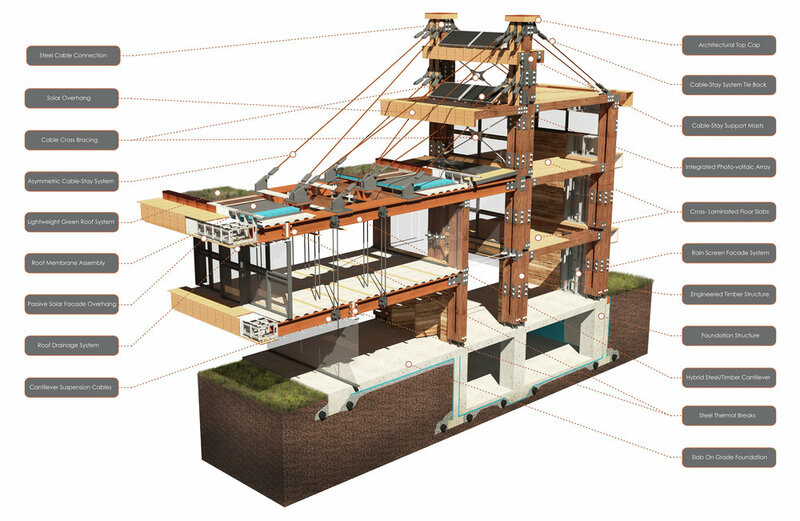 Through the comprehensive design process, 85% of the buildings structure is engineered heavy timber. 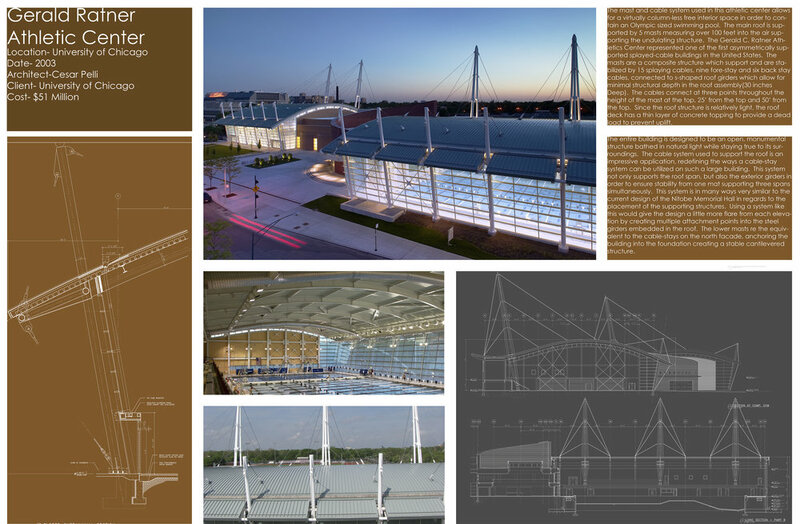 This system is modeled after the asymmetrical cable stay system located on the Gerald Ratner Athletics Center in Chicago. This system supports the steel cantilevered exhibit wing, which is attached to the main structural spine of the building. 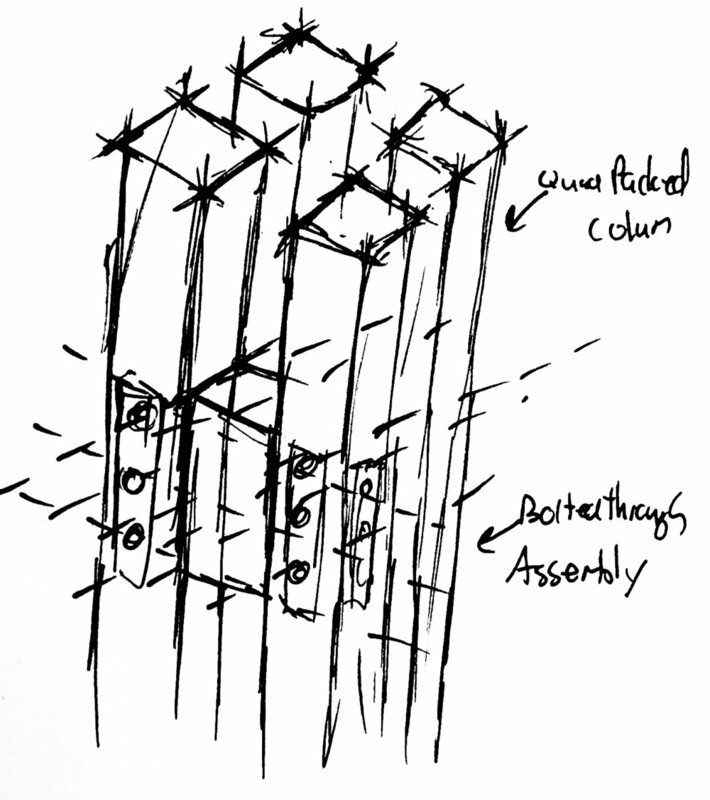 The utilization of this system allow for large interior spans to form the cantilever free of any vertical structural supports. The exhibition wing is formed through the use of large steel beams, which form a cantilever off the main structural spine. 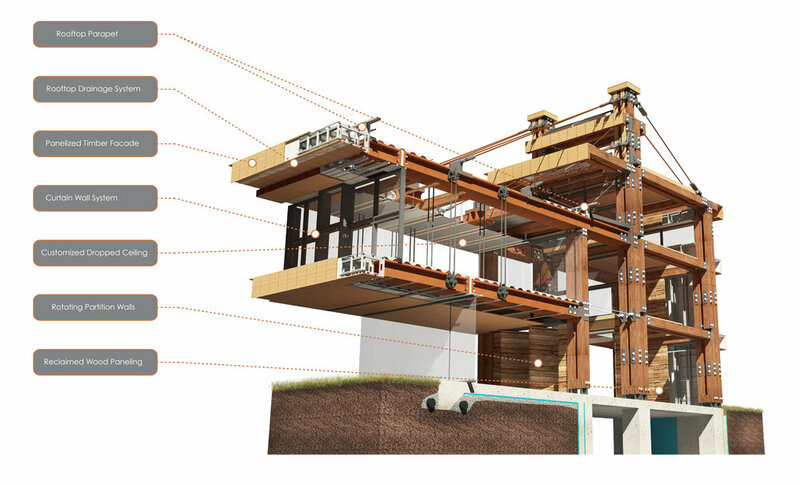 The roof is supported by the cable-stays, while the floor joists are suspended from the roof through vertical cablestays which run through the interior spaces. The steel beams are connected to the central spine through a customized plate.